Shri Madras A Kannan is a renowned musician who has worked and contributed for several years in the field of fine arts. 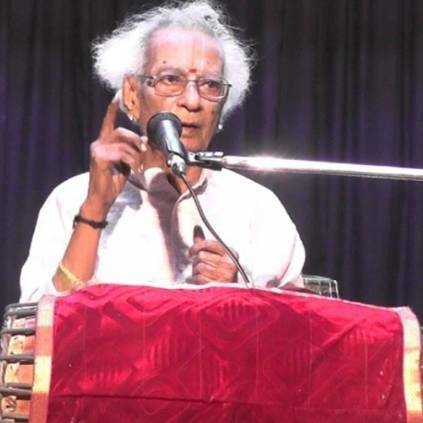 Due to his distinguished work in the field of percussion arts, the musician is known as Mridanga Samrat. This great musician has passed away. G2 SRIRAM NIVAS APTS, NEW NO 136 DR. RADHAKRISHNAN SALAI, MYLAPORE, CHENNAI-600004. Contact: Gopinath(Grandson), Director, Cell: 9962522177. Behindwoods mourns the loss of such an eminent artist and sends its condolences to the family, friends who are bearing his loss. May his soul rest in peace. People looking for online information on Mridanga Samrat, Shri Madras A Kannan will find this news story useful.